While you’re reading this blog, turn your glance upward to the address bar. You’ll see the website’s name and the world wide web (www) at the front, but before all of that, you’ll see the protocol in the form of letters with a colon and backslashes. This indicates the way that the information you’re viewing on your webpage was sent to your device. 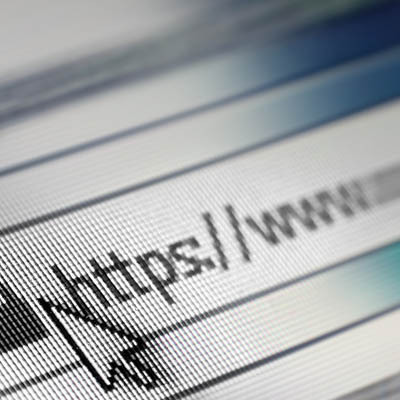 The two most notable website protocols to consider are HTTP and HTTPS. These stand for Hypertext Transfer Protocol and Hypertext Transfer Protocol Secure, respectively. Both of these are used to show that a hypertext page was used to transmit the information from its source to your web browser. As you might have guessed, however, HTTPS has an additional layer of security that keeps prying eyes away from seeing the data as it’s in transit. Why Do We Use Protocols? To understand how protocol works, we’ll use the example of two children; one of them throws a baseball, while the other is prepared to catch a frisbee. Of course, the two are incredibly different things, which complicates the actual act of catching it. The situation is quite similar for a computer. If a device is only preparing to receive 8-bit packets whereas the data sent is in 16-bit packets, things aren’t going to work according to plan. By thinking about it in this sense, it’s easy to see that the protocol is designed to give the device an idea of the data it’s about to receive so that it can be both sent and retrieved successfully. How Important is Protocol for the Average User? If you’re not the one responsible for programming or network administration within your organization, then it’s likely that you won’t need to know much about protocol. However, it doesn’t hurt to remember that you should only enter data into a web form (particularly sensitive information) if the device is using a secure connection through HTTPS. For other questions or concerns you might have about protocol, be sure to reach out to us at 301-571-5040.